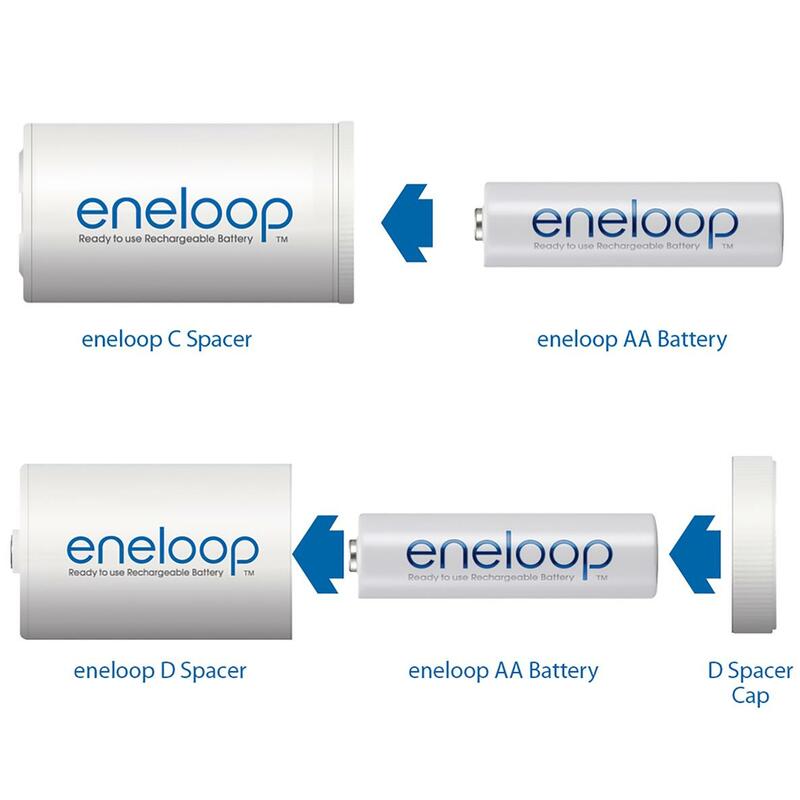 eneloop 'D' spacers allow eneloop AA battery cells to be inserted and utilized in 'D' size battery applications. The battery cells maintain their original eneloop AA cell performance characteristics. eneloop charge capacity and mAh estimates based on Panasonic internal IEC 61951-2(7.3.2) testing. **Recharge cycles based on testing method established by IEC 61951-2(7.5.1.3). ***Solar energy charging as certified by The Green Energy Certification Center. 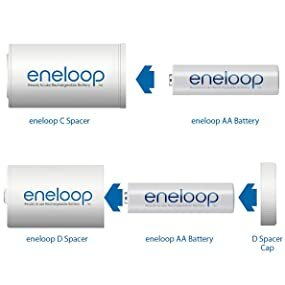 eneloop batteries need a charger to be recharged. Panasonic Ni-MH battery chargers are recommended. ****Recommended storage conditions 68 degrees F. Results may vary based on conditions of storage and use.